Wondring if anyone out there has anoticed a difference between using Large spinnerbaits succh as the Bionic Bucktail and the MG vs a standard bucktail. I automatically pick up a bucktail when muskie fishing but am starting to think maybe I should be throwing a large spinnerbait more often then I am. I like bucktails, but I have caught more Musky on Bass size spinnerbaits than anything else...of coarse I'm in the Kawarthas and the fish I'm catching aren't huge. I like the large spinnerbaits Darren, and have alot of luck with the #950 Grim Reapers , specially if I want to get down deep into the weeds, and find the bigger baits have more thump, plus the larger profile makes the bait more visible to the fish. Those big spinnerbaits also make an excellent trolling bait too. I've actually started getting away from bucktails in the last couple years and spend more time with large spinerbaits and boo-tails now. i also love the large spinner baits. 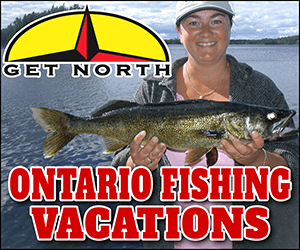 I have caught several fish on northlands bionic bucktail spinner baits. The Grimreaper 950's are pretty neat. I don't fish for musky, but I like spinnerbaits. I like both equally. More often than not, I'll throw the in-line to cover water real quick. If there are any snags like timber or, like Lew said, heavy weeds, the spinnerbait gets the nod. I haven't been musky fishing that long, but I'd say fish caught are 50-50 spinnerbaits vs. in-lines. Not that I've had alot of experience to share but I prefer casting spinnerbaits although I've had better success with bucktails. Not meaning to hijack this thread but what is considered to be a "large bucktail"? I've read a few stories of C4's burning out or giving up when working large bucktails or spinnerbaits but don't know if people are referring to 1/2 ounce mepps, 1 and 1/2 ounce slopmasters or Vibrax musky bucks or 3 ounce Cowgirls. I just got some Suicks and Cisco kids in the mail Time to pick up some big spinnerbaits and some bucktails!! They both have their place. Generally speaking, to me a SB is a bit of a slower presentation. I use SBs when throwing into heavy weeds/cover but, use bootails over top of them, rocks and when I want to cover water. Weeds.. A C4 should be just fine on those smaller bucktails. On the other hand, the C4s of the world are shaking at the knees seeing the bait below. #10 blades, about 15" long and 2lbs when wet. It's a lot of work for a C3, I use a 7001 for them. Spinnerbaits are traditionally a better fall bait, where as bucktails are traditionally a better spring time (opener) bait. Either one works all year though. It's good to have both in your arsenal. I have to agree with Rich, I couldn't go after musky without both in my tackle box. If they won't come out of the weeds to chase a bucktail, you have to go in after them with a spinnerbait. I prefer the Mepps Musky Killer for my bucktail and the Slopmaster is my new fave spinnerbait. M&G for Spinner and Double Cowgirl. Cant go wrong with either. Generally speaking, to me a SB is a bit of a slower presentation. Big spinnerbaits are used quite a bit on the Ottawa River for muskies....for good reason....they produce. Yes they can be used for slower presentations but they are also excellent for faster presentations. I use mostly Rob Dey spinnerbaits and have trolled them over 5mph. They are also deadly cranked fast over the shallows. I have also had luck on the O with in-lines, however they seem to tangle more and twist the line from time to time. Another reason I use the big spinnerbaits is for ease of unhooking. The fish usually only have one big hook to deal with as opposed to a set of trebles. Curious as to where you got that info Rich ? ?...I use big spinnerbaits consistentely from the 1st day of the season with a lot of success and they continue to put fish in the boat right thru the year. Early season musky are extremely active, specially in shallow water, and nothing pulls them outta the sand & pencil reeds better than a large, fast running spinnerbait. It's very common to grab 3 or 4 fish like that in only a couple hours in June. Yeah... but have you ever actually USED one??? I really like the Slopmaster Spinnerbaits. Some people put them down, but I've only had good results from them for Pike... and if I ever catch a Muskie it'll prolly be on a Slopmaster. Think I might get away from "Mr Reliable" thoe old black #6 bucktail and try the SB more this year. Been watching alot of shows this winter and it looks like the inline has fallen out of favour. Does this mean you're going to change your name to spinnerbait? I don't think the inline has fallen out of favour with the muskies, just the lure pushers on tv. The bonus walleye that you catch using the spinnerbait for musky are usually bigger than average. I'm sure Lew has a photo album full of nice accidental walleye catches. Im a big fan of both. For my spinnerbaits I use Fundally's. I take the wire and straighten it out it out at the connection so instead of a forty five degree angle it becomes a 90. This allows them to be trolled at high speeds. It was some Ottawa river guide who gave this tip. Since then Ive got lots of fish on this lure both casting and trolling. But bucktails still get wet every trip as well. Whoever said that in-lines have fallen out of favour with the musky diehards is way off base. The inline that raf showed has been in every mag I've picked up in the last two years. Guys are throwing them during the day, At night, summer, fall, all the time. I think they're well over the 250 fish over 50in mark now. Also, again like Lew said, sand and reeds near known spawning areas hold some good fish and alot of them will go after a spinnerbait burned through those areas. On opening day, I won't head out on the water without a selection of both baits. I said "Traditionally" Lew. Truth be told, I use them all season long too. Actually, I don't think I even put a bucktail on my line last year except for pike fishing. The tradition really is "smaller baits early, big baits late" so I guess if you got giant bucktails, they'll be great fall baits. And I've been known to downsize to 1oz bass spinnerbaits for early musky fishing. 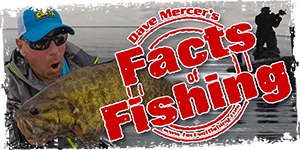 Big spinnerbaits are used quite a bit on the Ottawa River for muskies....for good reason....they produce. Yes they can be used for slower presentations but they are also excellent for faster presentations. Another reason I use the big spinnerbaits is for ease of unhooking. The fish usually only have one big hook to deal with as opposed to a set of trebles. That's why I said generally Chris. I don't usually fish waters that are choked with weeds. If I were to fish a lake like scugog for example, you can bet that a SB would be ahead of an inline for me. A SB on a short leash behind the boat works great in the sloppy areas and, the single hook is definately more fish friendly too. The inline that raf showed has been in every mag I've picked up in the last two years. Guys are throwing them during the day, At night, summer, fall, all the time. I think they're well over the 250 fish over 50in mark now. I'm sure JP would be happy to hear that, but the one I posted is a homemade job - quite a bit bigger than the cowgirl rage. Yeah, I didn't see the sticker on the blades. Beauty bait. When are we going to be able to get our hands on some of those?